Any time a person drives or rides in a car, he/she must face the reality that there is an unavoidable risk that a car accident could happen, resulting in an injury. All humans can make bad decisions, and errors happen when people drive. However, this does not mean drivers are not responsible for unreasonable behavior that unnecessarily puts other people on the road at risk. The law requires drivers to act in a reasonable and prudent manner when operating a vehicle, and if an injury occurs because someone failed to do so, he/she could be liable for compensation. 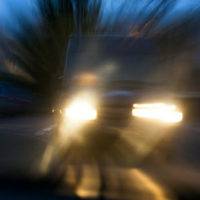 Driving at night presents additional risks from low visibility and distractions from street lamps and car headlights. However, one major issue that occurs at night and is often deadly is wrong-way driving. Wrong-way driving commonly results in head-on collisions as a car travels down the wrong side of the road directly into oncoming traffic. This commonly occurs on interstates as drivers, often due to intoxication or fatigue, drive down the exit ramp instead of the entrance ramp. A woman so traumatized by a head-on collision in a wrong way accident that she could not enter the courtroom for the trial was recently awarded $4.67 million in damages for her injuries and suffering. A discussion of tactics drivers can use to avoid collisions with wrong-way drivers, and the legal options available when such an accident causes in injuries, will follow below. As noted above, wrong-way crashes are most common at night, which unfortunately means drivers encountering the vehicle moving at them will have less time to identify the danger and react to avoid it. One way to reduce the likelihood of a crash is to stay to the right, which at least give other drivers in the line of a collision space to move out of the way in an emergency. Further, if a wrong-way driver is sighted, one should immediately reduce his/her speed, pull off the road, and call 911 for assistance. Finally, the Florida Department of Transportation has signs that alert drivers to the presence of a vehicle traveling in the wrong direction, and when a warning is posted, drivers should exercise extreme caution and move to the right side of road at a reduced speed. Driving on the wrong side of the road, regardless of whether drugs or alcohol is involved, is a violation of Florida law. Florida law requires all cars to drive on the right half of the road, unless certain exceptions apply, such as passing a vehicle traveling the same direction or to avoid a hazard in the road. To recover compensation for an injury in a car accident, the injured victim must prove the other driver was at fault for the accident due to negligence. As explained above, drivers have a duty to drive in a reasonably safe manner, and getting a citation for driving on the wrong side of the road, while not definitive, would certainly help show that he/she was not acting responsibly. In addition to the other driver, an employer or restaurant may also share some of the liability for accident for negligent hiring or retention. Finally, if an accident results in death, family members can sue on behalf of the deceased in a wrongful death suit to recover compensation for their loss. Car accidents can devastate lives, and if you were the unfortunate victim of accident, contact the Miami law firm of Pita Weber Del Prado about receiving compensation. The lasting repercussions of an accident are expensive and can last a lifetime. Do not let the other driver off the hook – explore your legal options so you do not pay for someone else’s mistake. Contact Pita Weber Del Prado today for a free consultation.